Get ready for some bone-chilling bingo in the Bingo Canada Spooky Speed Bingo Games spectacular! Simply prebuy tickets and join us between October 8th and October 14th October to win some hair-raisingly good prizes on Spooky 5 games in selected rooms! Take a chance in the Dollar room between 7 PM and 9 PM for a spooktacular $1,066 prize fund on every 5th call. Or, head to the Supernova Room between 9pm and 11pm to play for a $1,066 prize on every 5th call up for grabs! Late night frights Canadian bingo games more your thing? Check out the Bingo Café between 3AM and 5AM to be in a game with $566 available on every 5th call. Or head in to the Desperate Housewives room from 3PM to 5PM to win $366 on every 5th call! Start your October with some hocus-pocus and conjure some big cash prizes in the Bingo Canada Spooky Speed Games! Spring is in the air once again and you are invited to take part in the Bingo Canada amazing Spring Cash Bingo Tournament that runs from the 20th to 25th of March! To qualify, simply deposit a minimum of $50 per day for the tourney duration and they will award you 1 point for every $1 you wager on Bingo and another point for each $10 wagered on Slots! Don’t Miss the Spring Cash Bingo Tournament! The top qualifier each day wins an incredible $500 in cash! What would you do with some extra Spring Cash this year? Spring for a New Tournament at Bingo Canada! Walk the Line with Bingo Canada this February 28th and celebrate the life of one of the most influential stars on the country music stage in this Johnny Cash Bingo Tribute Grand Million Dollar Party! Follow the Man in Black to Win $2,000,000 total prize pool! It’s 86 years since the birth of the Man in Black and you can join the Bingo Canada party for the chance to play for over $2,000,000 in prizes, including one hour of Speed Games with a fixed prize of $5,000 every 5th call, pots reaching up to $200,000, plus for the whole event you’ll get 16 cards free for every 20 bought, Fireworks pattern with a fixed prize of $5,000 on all calls every hour and 2 Speedy Coveralls with $15,000 on the first 50 calls per hour! Don’t miss this awesome bingo party just for all of you to celebrate Johnny Cash. One more Bierkrug please! In recognition of Oktoberfest, Germany’s legendary beer festival, Bingo Canada offering a trip to Munich to the lucky winner of their Oktoberfest bingo promotion! Arranged between the 9th and 22nd of November, the trip includes hotels, paid tours, plus $4,000 spending money! Starting on October 1st until October 29th, Bingo Canada will reward every minimum $50 deposit per week with one raffle ticket. Each week, every Monday a draw will take place and 25 lucky players will enter the final taking place on November 1st in the Final Room between 6PM and midnight EST! Zum Wohl! Experience Germany at its Finest with Bingo Canada! Join the fun today with this awesome Canadian bingo game. They say diamonds are forever and we couldn’t agree more. So, Bingo Canada is giving out prizes that last a lifetime and you get to pick what they’ll be. In 2 weeks, you can win a Tiffany’s Gift Card worth $2500 in their Bingo Diamonds at Tiffanys Tournament. All you have to do is play your favorite Canadian bingo games! Enter with a $50 deposit and start gathering points, 1 for every $1 wagered in the Bingo Rooms or every $10 wagered on slot games. The top 5 players daily will be invited to an exclusive event in the Bingo Canada Fair & Square Room on May 14th starting 7PM until Midnight EST and get the chance to win their dream reward! Win a Tiffany’s Gift Card and treat yourself the way you deserve it! Get off to a great start every day with Bingo Canada Morning Madness and wake up to the sound of $1,000 in cash. Rise and shine every day on the lucky side of the bed and play 2 hours of special speed games with gigantic prizes on every 5th call! Plus, if you buy 12 cards, we give you 12 cards for FREE! Bingo Canada Morning Madness is hosted every day in the Afterhours, Dollar and Desperate Housewives Rooms! 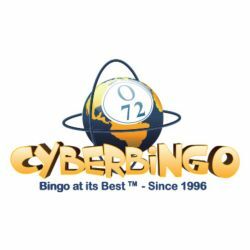 Sign up and start playing today at one of the best Canadian bingo games. You can also learn more be reading our Bingo Canada Review. Enter the Bingo Canada Need for Speed online bingo tournament in the rooms listed above and place your bets to start winning!